We have to ask after watching “My Playground”, do you like James Bond? Yes I like James Bond! To be precise, I like the new movies, but I love the old classics with Roger Moore. The best combination of action and smoothness, even on skis! What influence has growing up in Zermatt had on you? Firstly, it is the easy access to the mountains, we spent days playing in the snow in front of our house. When we were younger the highlight was a sledging run which our father built, it involved dozens of banked curves – similar to the ones that Bond was shredding when he was chased down the mountain! Later on we spent our youth skiing and climbing the mountains around our home. So the influence is clear, if you want to be a skier or climber Zermatt is a perfect base. Skiing, climbing, paragliding, biking… everything i can do/try. Over the years of travelling I tried a lot of other sports like surfing, but I have realised that mountain sports are more in my nature. 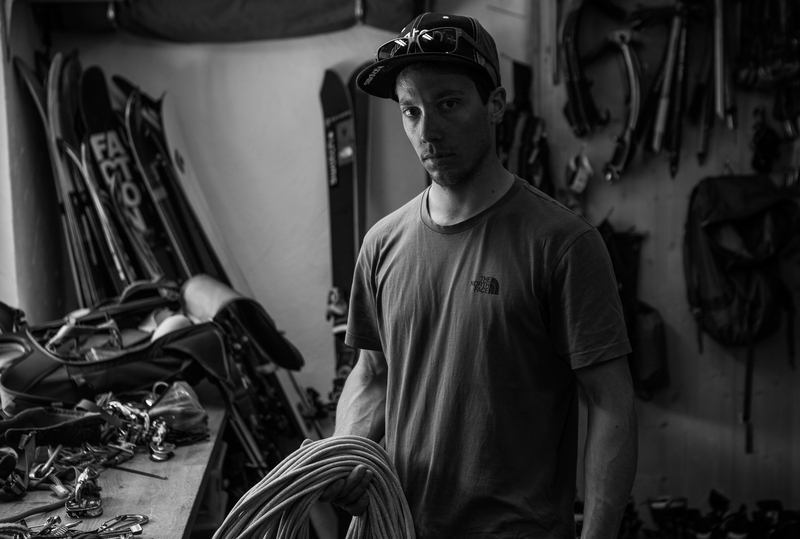 Growing up in Zermatt it is totally normal that you ski at 3 years old, at 10-11 my brother Simon wanted to go climbing and forced me to be his belay partner, this evolved all the way to climbing first ascends in the Himalayas. I also paraglide which I started four years ago, also in Zermatt, well 8 years ago I had my first experience where a buddy of mine gave me a radio and a paraglider and told me what to do, not something I recommend, especially as he was also not an experienced pilot. Paragliding is one of those magical sports where you can escape from the “signed path“ and fly your own direction..
You’re a guide, when did you finish all your exams? In 2010, I successfully finished the education to be an UIAGM certificated Mountain Guide. How much do the glaciers in Zermatt change each year? The glaciers are changing really rapidly. The first time i checked the glacier run from “My Playground” above Zermatt it looked just perfect. Two weeks later I flew by with my paraglider, there had been massive ice towers wich collapsed at the right and left of my line, at the same time three crevasses went from a normal size to giants. 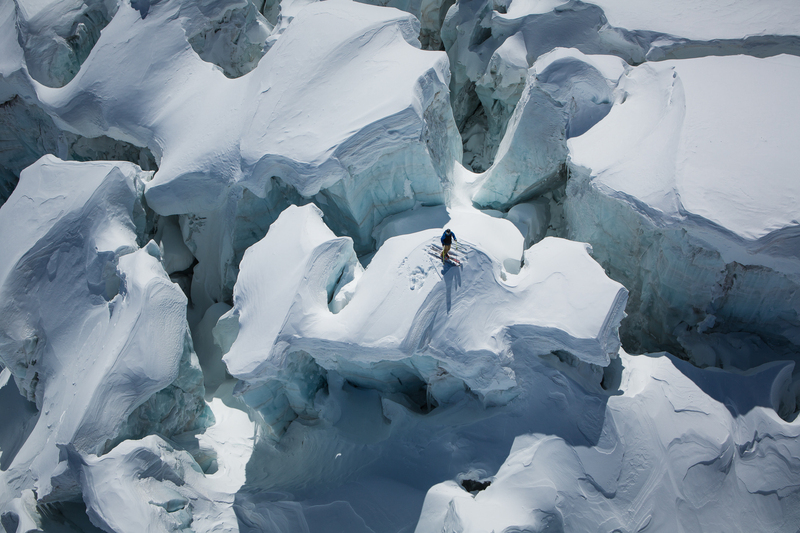 There is way more movement in a glacier then we think! As the terrain below a glacier stays the same the “classical“ crevasse fields generally remain in same area. What is your favourite thing about Zermatt?